Are you struggling for gift ideas for fathers day? Then you need to take a look at our range of fathers day stickers. 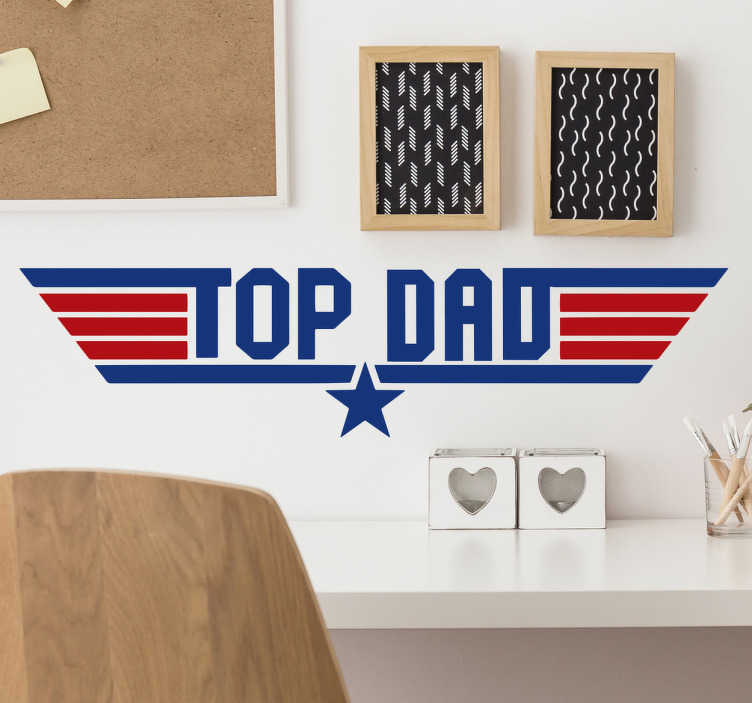 This sticker consists of the message "top dad" in the design of the hit film "top gun!" Let your dad know how much he means to you with this sticker. If you want to personalise the sticker just send an email to info@tenstickers-ireland.com and our team of designers will create a sticker personal to you.